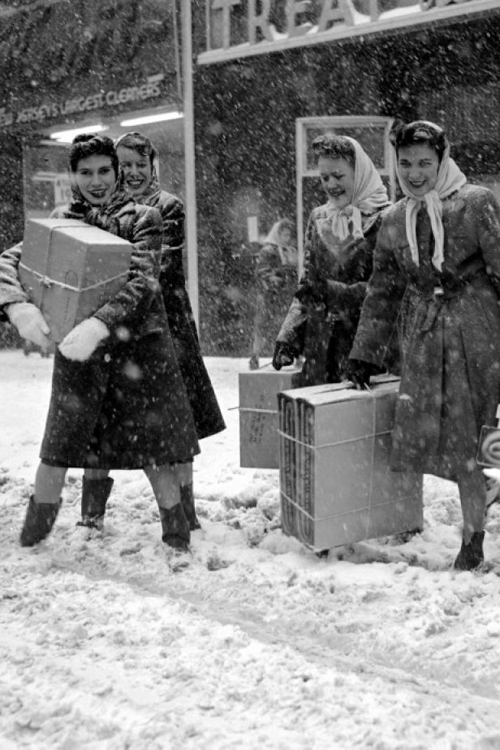 What type of Christmas shopper are you? Do you leave everything until the last minute or are you ready for the big day? If you are putting the finishing touches to your home, avoid the high street and look no further than our Online Store – now with 15% off everything. Order by Friday 18th December for delivery in time for Christmas. Christmas can be a busy time with lots of visitors so extra seating is often required. This year, rather than allowing the teenagers and younger children to lounge on the hard floors, create comfortable seating areas with floor cushions made using our wool flatweave – in bright stripes or classic houndstooth. 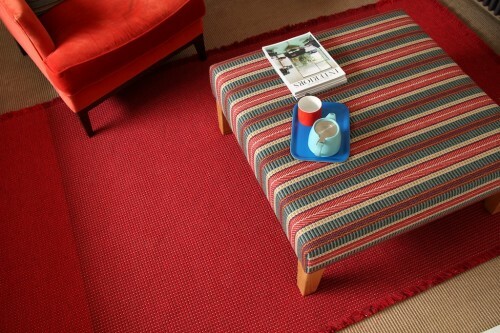 For the adults that find the floor too far to reach, choose a bench upholstered in the same wool flatweave. The benches can also work as a place to put bags and cases at the end of a bed or as an impromptu table on which to balance a tray of drinks and mince pies. Although the weather has been unusually warm for the time of year, many people are still hoping for a white Christmas. Be well prepared with sumptuously soft 100% lambswool throws to snuggle under whilst watching TV or pile up throws on the end of the bed for extra toasty warmth. 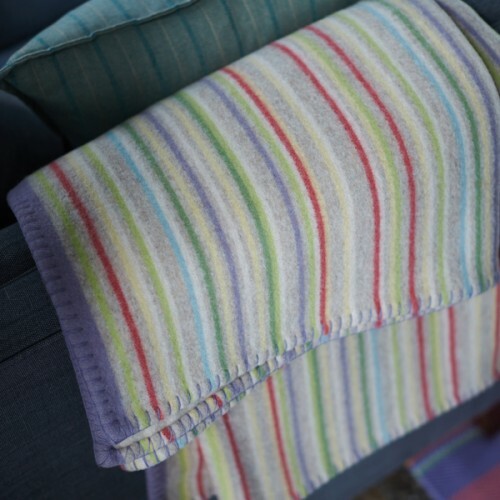 The Troy throw is available in festive red or opt for a cosy felted throw in bright stripes. And last but not least, make your entrance hall welcoming to all your Christmas visitors. 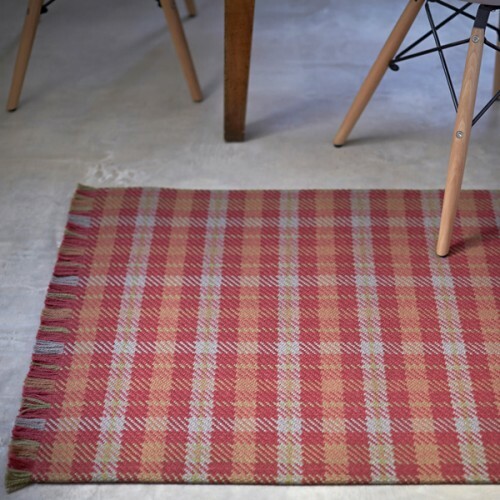 Choose a vibrant runner or rug to add colour and a touch of warmth to an otherwise hard and cold floor. 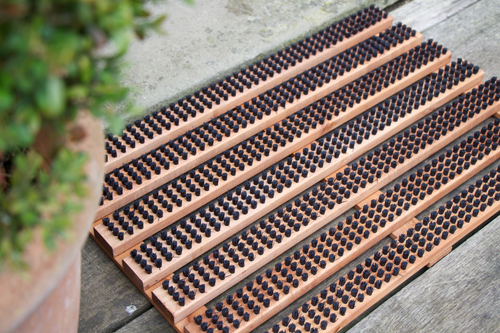 To make sure those winter muddy footprints are left outside the front door, why not include a stylish yet practical doormat? If you are lucky enough to be getting away from it all take a smart Flatweave Carpet Bag. 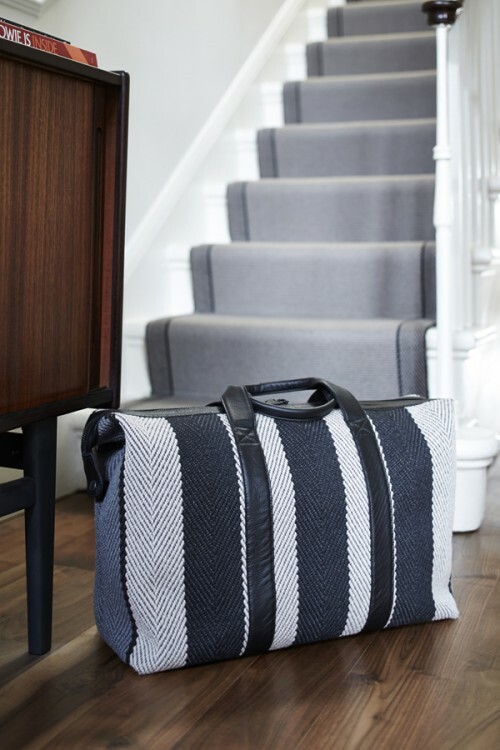 Fitzroy Travel Bag, hand-made in England using fine leather and wool flatweave with a herringbone striped lining. For a limited time with 15% off. 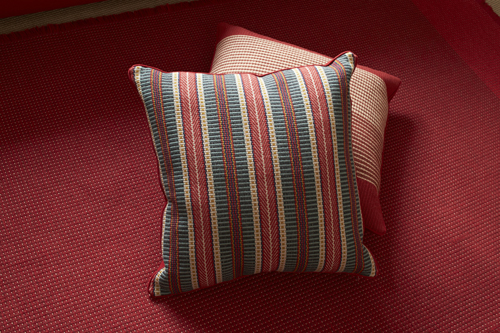 But remember, Roger Oates is not just for Christmas. Simple luxury for modern living, all year round. Use the code SANTA15 at checkout to receive 15% off all purchases.